New apps, computers, phones, and many other technologies are being released an ever increasing rate pulling on our attentions. With them, many schools see an increasing challenge in keeping students engaged in the classroom. However, there is at least one great way that smart phone apps can be used to help engage students. With the increasing use of smart phones, video creation apps have become easier and easier to use with ever better functionality. Today’s students are used to creating their own Instagram clips and Youtube posts on a daily basis. Rather than being considered a distraction, this can actually provide a great opportunity to engage students in academics through video creation.There are many video contests available for students. Some are more refined than others, and each has its own specific requirements; however, there are some common tips that can help students be more successful at these competitions. Featured Competition: the World of 7 Billion Student Video Contest helps students learn about global population growth and its impacts. Don’t miss this video contest, the submission deadline is February 28th, 2019. Students don’t need to become professional film-makers, but they should learn to incorporate few new skills. Here are 6 common tips we encourage students to follow when submitting to one of the great video contests that are available. 1. First, make sure you know your content. Student video contests typically have a theme for your videos. Sometimes the theme changes each year, but sometimes it remains constant. Before beginning to create a video, students should spend time to research their competition’s theme. The more they know about the content the better the video will come out. Competitions typically don’t just score videos based on the quality of the filming, but they also focus on how well the students demonstrate specific knowledge or understanding of the theme. So make sure to do the background research in depth before you begin filming! 2. Ensure the video responds to the challenge prompt. In similar lines to knowing your content, students also need to double check that the video actually responds to the contest’s prompt or requirements. Typically student video contests will have certain requirements for your video. Not only will they require the video to be a certain length or of a certain quality, but they may also ask for the video to respond to a specific question, or include a particular type of information. Students need to double check that they understand all of these requirements before beginning to film. Many high quality videos have been disqualified because they didn’t follow the specific requirements of the contest prompt. 3. Create a storyboard and script before filming. For those creative students jumping into video contests, it can be hard not to just jump in and start filming, but you really should put the breaks on a little bit and make sure that you have a good plan for what you are going to film first. We suggest to create two things before you get to the filming. First build out a storyboard for the video. What is it going to show when? What kind of imagery do you want to have? And what are the main points that the video will make in each scene? Then actually write your script. If you are going to have a lot of talking, this could take some time. Finally, when you have these two guides wrapped up, you’ll be ready to make a great video! 4. Select a style that matches your personality. Every video is different, and each videographer has their own style. A video that one person thinks is excellent could be what the next person cringes at. Don’t worry too much about making videos in a specific style to try and meet everyone’s interest. Instead focus on defining your own style, and don’t switch styles in one video. Following a style that matches your personality will end up making it easier to create a high quality video with good content that meets the contest’s prompts. This alone will make your video easier to score highly than a video that is trying too hard to fit into one specific style that doesn’t match that of the students themselves. 5. Check the video for errors! This may go without saying, but don’t submit a video that has bad audio, misspellings in its text, or other errors. Just like with a writing competition, you need to check and double check the video for errors. Make sure the playback is smooth and that there are no problems with your transitions. Having a seamless experience will help the contest judges score your submission highly. 6. Don’t worry too much about the bells and whistles. It is very tempting to put on as many fancy transitions and exciting overlays in a video as you can. Students see a lot of interesting new features in the editing software or apps and think we should cram them all into a video! Unfortunately, this doesn’t help much in scoring videos well. Sometimes a well-placed transition feature, or interesting text overlay can make a difference, when it works well with your actual storyboard. However, don’t overdo it! Too many of these bells and whistles can distract judges from your real message just as easily as they can add to it. Overall, video contests can be a great way to learn educational content while also flexing creative muscles. We encourage students and educators in all fields to explore these competitions. 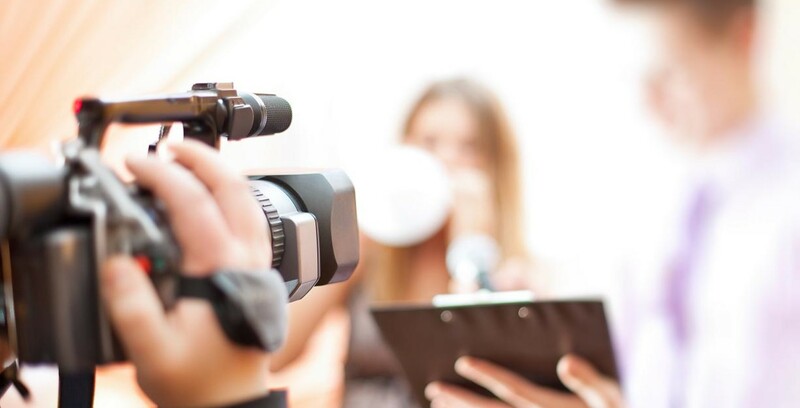 Although each contest has its own specific rules and guidelines, there are common traits that, when considered carefully, can help students produce better videos for any contest or competition. But make sure that you also review the competition’s website for specific guidelines. Many competitions will post recommendations that are unique to their program to help you create videos that are specifically suited for what their judges are looking for. For example, the World of 7 Billion Student Video Contest includes a whole page with 15 specific recommendations to help you tailor your video to their challenge. In addition to our overarching items to get you started on the right path, the W7B team recommends things like choosing a specific audience for your video, and identifying a video “tone” before you even begin. You can check out these, and other guidelines for the W7B contest here. W7B and many other video contests have deadlines in early 2019, so don’t miss this chance to flex your creative muscles and get involved in an academic video contest today!